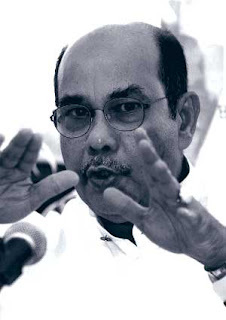 MAGICK RIVER: SYED HAMID ALBAR: A CLOSET CHRISTIAN? WHY ELSE WOULD HE BE INVOKING NABI ISA TO HELP HIM DEFEAT RPK? And now here's the Arab home minister Syed Hamid Albar threatening to set Jesus (known as ISA to the Arabs) on puckish blogger king Raja Petra Kamarudin (known as RPK to his fans who number in the millions). Well, I don't think this ploy will work. Jesus - or Yeshua as he was known to his friends and family - would probably side with RPK, being pretty much an anti-establishment type himself. Remember, he was also arrested for sedition 2,000 years ago. Don't these imperious Roman General wannabes ever learn? 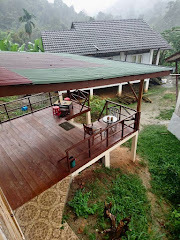 2,000 years ago, before digital tech arrived on planet Earth, truth-tellers like Yeshua had to travel from village to village giving ceramahs - just as Anwar continues to do today in order to reach rural folks who haven't yet plugged into the internet - no thanks to Telekom Malaysia's ludicrous monopoly that has long overstayed its welcome. These days those of us who are connected can post something on a blog and a million people can access it from the comfort and privacy of their own homes and offices. 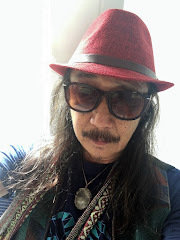 Now if RPK has said anything "offensive" to anybody, they are free to retaliate by starting a phony blog like that Raja Mongrel scam sponsored by the 4th floor boys (too bad the blog has been deleted). Absolutely no call to behave like alpha baboons with bared fangs shaking hyena bones at your presumed enemies. RPK may well be doing you a huge favor by showing you up for what you are before your hypocrisy gets you so deep in your own excrement you'll drown in it. 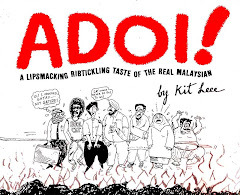 My advice to Syed Hamid: if you're really that pissed off with RPK, why not challenge him to a good old-fashioned Sumo-style wrestling match? I'll handle the publicity for you with pleasure. We'll call the match BOTAK VS BOTAK and stage it at the Bukit Jalil Stadium! 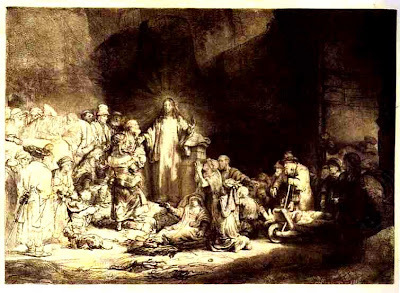 Rembrandt's rendition of a typical Yeshua ceramah. Why did you said "Raja Mongrel" is a phony blog, scam sponsored by the 4th floor boys? If what you gonna say is do RPK no good, then pls. don't say anything, I am just curious. (too bad the blog has been deleted). I think you're confused about something here, "Anonymous." 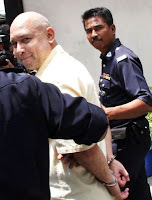 Some smart alec created a blog called Raja Mongrel using RPK's name (but misspelt) which was really just a bunch of demented rantings supposedly aimed at giving RPK a bad name. Some of it sounded like it could be RPK himself on acid - but the overall energy was unwholesome and unsavory. And those of us who love RPK can recognize his energy signature a mile away. RPK may be blunt and uninhibited in his syntax but he's always wholesome and savory! Nope I don't miss that silly spoof blog. Read a couple of postings and that was more than enough. The energy around that blog somehow made me think of KJ and his 4th floor boys. They would have good reason to do something like that to avenge RPK's "Khairy Chronicles." Maybe the confused one is you because as far as I know, the smart alec mongrel has always maintained he is just the 'conscience' of RPK, not RPK himself. (calling himself the X stories now). Antares, idolizing too much can be hazardous, take it easy. Dear Anonymous, three years later I re-read this post and realize you must have known something others didn't about RPK. I'm not fully immersed in politics and tend to take things at face value - but then I have never pretended to be a political pundit. 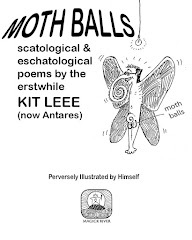 I just find it hard to keep quiet and watch this beautiful land infested with pestilential lifeforms in public office disnitegrate before my eyes.